Since there are no coyotes (@ least i have never heard of ) in West Africa, will the Ecosafe Barrier scent stick be effective in keeping rats out in West Africa? Who do i need to discuss with to be able to procure and distribute the product in West Africa? 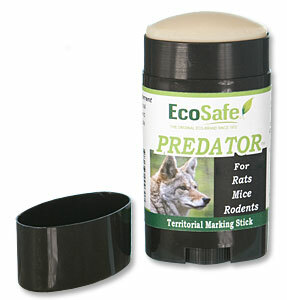 This product is a natural scent that acts to "scare" animals, rodents, etc away. Whether it would work totally depends on the rodents natural instincts. I would recommend to test it first and see what kind of results you get. Email or contact Diana Baldwin at our International Sales Division - email - customercare@epestsupply.com.